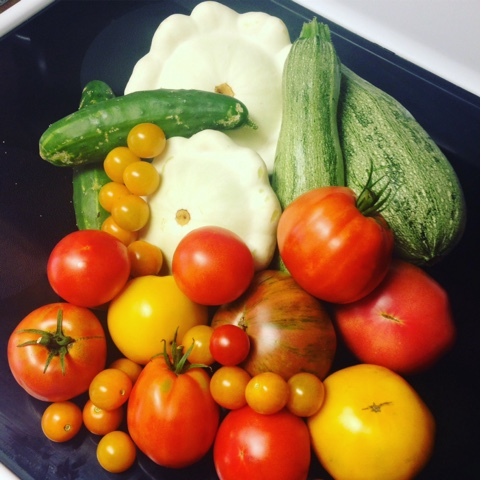 I often show off on here and social media what is growing well in my garden. Because who wants to hear all my sad stories of garden failures. But the downside of bragging is that it gives folks a false impression that I have it all together and am just winning at this garden thing. Let me set the record straight. While I have plenty of success stories in the garden, I have at least twice as main failure stories. That's the truth. I fail a LOT more than I succeed. This year alone I have planted peas and beans 3-4 times, depending on the area. So far I think I've consumed a dozen green beans and a half dozen purple beans and zero yard long beans and maybe two sugar snap peas. Which is crazy because beans are normally a no-brainer. I bought all new carrot seeds and went through a bit of effort to plant them out. You see, the way I prep my garden in the fall has one down side, planting small seeds is tough. 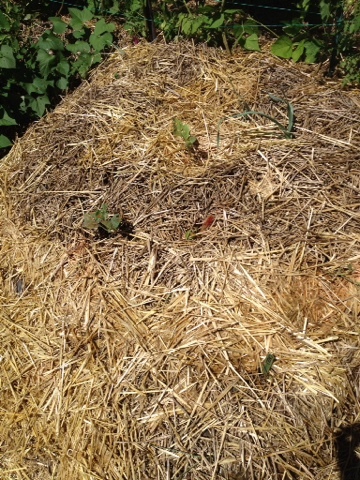 So I cut into the straw/newspaper/mulch and added soil to plant the seeds. Then I planted and watered and waited and watered and did all the things you are supposed to do. Weeks went by and not one green sprout. So I replanted. Rinse, wash, and repeat again for a total of three plantings. Guess how many carrots I have coming up? Guess. If you guess anything higher than zero, you're sadly incorrect. Four varieties in two different areas and not one carrot of any color to show. Normally my ground cherries are the talk of the garden. I am stil the only gardener to grow them (because I am the only gardener who grows from seed and I've never seen starts sold up here) and that works in my favor. When something is unique to the garden, it generally means there are fewer pests to fight off. Every other year, my ground cherries are eight feet tall by now. This year they have yet to reach one foot tall. That's right...they are still under 12"! Oddly, they are producing fruit so I have had a few bits to enjoy. But nothing like a normal year from a tall plant. I have no idea what's stunted their growth but it's a big disappointment. Two months ago I planted a second round of seeds under my grow light of brassicas: two varieties of cauliflower and two varieties of broccoli. I was finally on top of my game enough to plan for a fall garden! 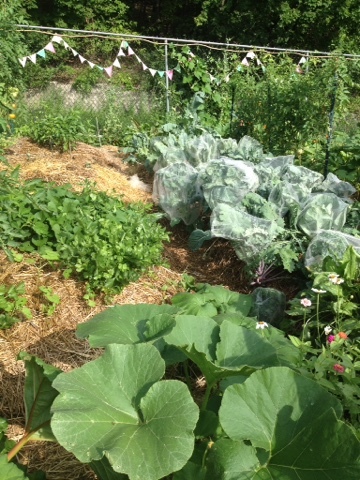 I timed it to put the fall brassicas in after I pulled out the first two beds of potatoes. Things looks great and went to plan and I was rather pleased with myself. The next day I cam to the garden to water my seedlings to find that of the two dozen planted, only four survived the first night. All eaten by grasshoppers. A week later and I am down to two and they are not looking great. So much for a fall garden. I had extra bean seeds so I planted those instead but you know...based on how things are going this year I am not holding my breath. I am trying a new-to-be variety of squash this year. It's an Italian variety that can be eaten young and tender like summer squash or allowed to grow huge and saved like a butternut winter squash. 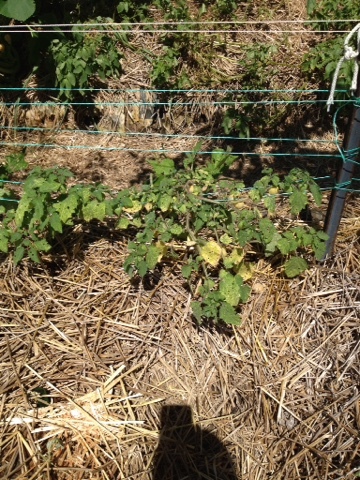 However the lesson I've had to learn the hard way is that this variety needs to be able to trellis up as it grows. Many varieties of winter squash are happy to grow on the ground or trellis up. 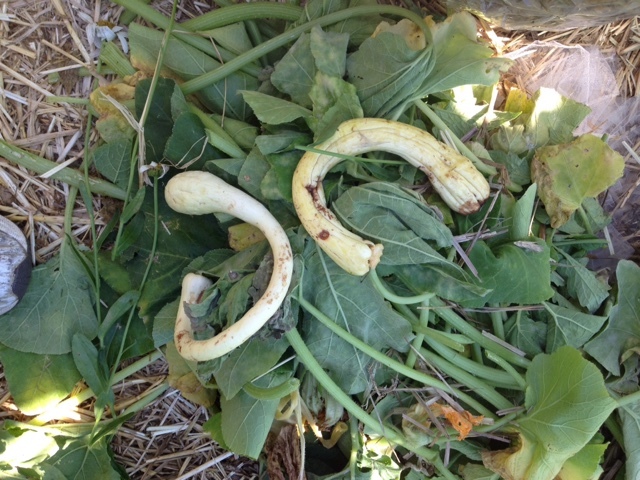 However, every single one of the big curvy Italian squash that have been able to touch the ground have rotted away. It took me losing several to realize the lesson and I am no keeping them off the ground as much as possible. But it's so sad to see fruit get to this point only to die the next day on the ground. Now I know...next year I will plan the placement of them accordingly.